To preserve the ancient purity and classic type of the Egyptian Arabian horse through knowledge, selective breeding, and devoted care. Growing up, I always had horses. In fact, there has never been one moment in my life that I have not owned a horse. Since I can remember, I have been drawn to the beauty of the Arabian horse. 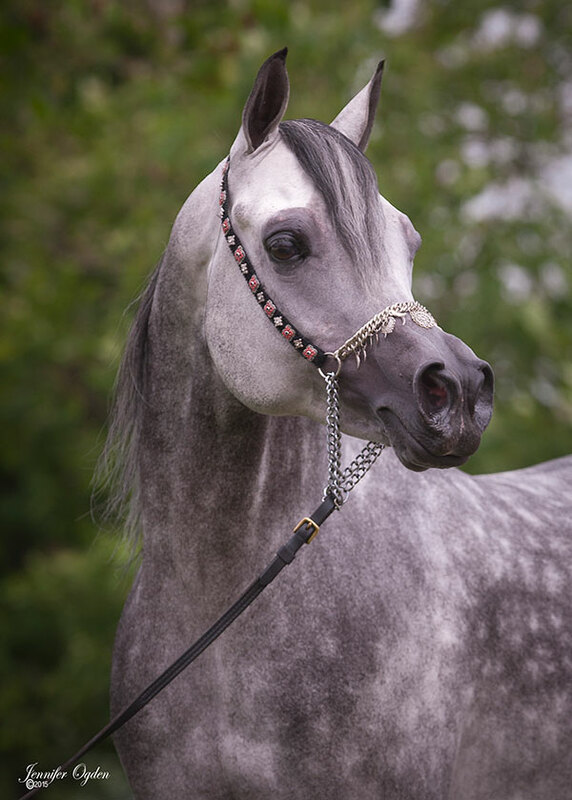 After studying many bloodlines, I realized that my passion was for the Straight Egyptian Arabian. Growing up about 25 minutes away from the famed Imperial Egyptian Stud, LLC in Parkton, MD, I can remember driving past their farm when I was little with my face pressed up against the car window hoping to catch a glimpse of one of their beautiful horses. I fell in love with Imperial Al Kamar, *Orashan, Imperial Madheen and of course Imperial Baarez. Imperial bred and owned many magnificent horses, but these four and their offspring became my favorites. To me, they epitomized the quintessence of the Straight Egyptian Arabian… ethereal beauty, form to function and gentle dispositions. In 2009, my dream of someday owning an offspring of one of these horses became a reality when I purchased Imperial Baaru (Imperial Baarez X Imperial Falaah x Imperial Imdal). Since then I have purchased two Imperial Al Kamar daughters (SKF Just One Look and Qadar Azura) and a stallion, Qadar Ja’Zil, who is out of MB Rayeena, an Imperial Madheen daughter. My vision is to carry on the Imperial legacy while preserving the essence of the Straight Egyptian Arabian horse.